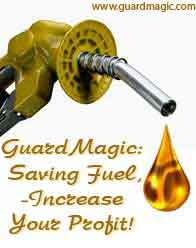 GuardMagic vehicle GPS tracking and fuel monitoring platform is one of the most advanced, universal and technologically solution. unlimited potentiality for system growing. 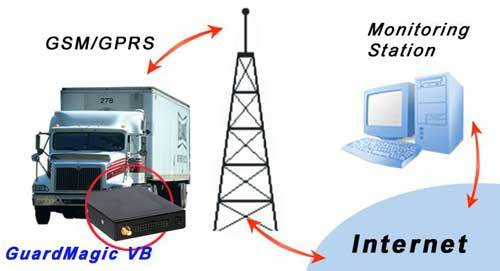 that allow to decrease GSM-GPRS data traffic. 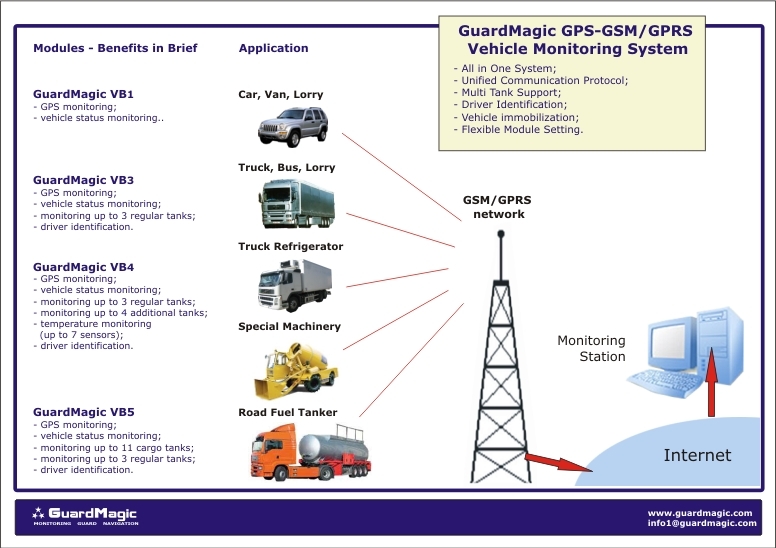 Connectivity GuardMagic GSM-GPRS modules (GuardMagic VB series) to external additional sensors, such us engine immobilisers, fuel level sensors, temperature sensors, alarm buttons, driver identification, vehicle alarm system etc. is facilitated through the onboard I/O lines. Industrial (professional) EIA-485 communication interface also provide connection and collection data from fuel level sensor with very high accuracy (1024 or 4096 levels) with detection status of communication line. temperature monitoring in reefer (refrigerator truck application).